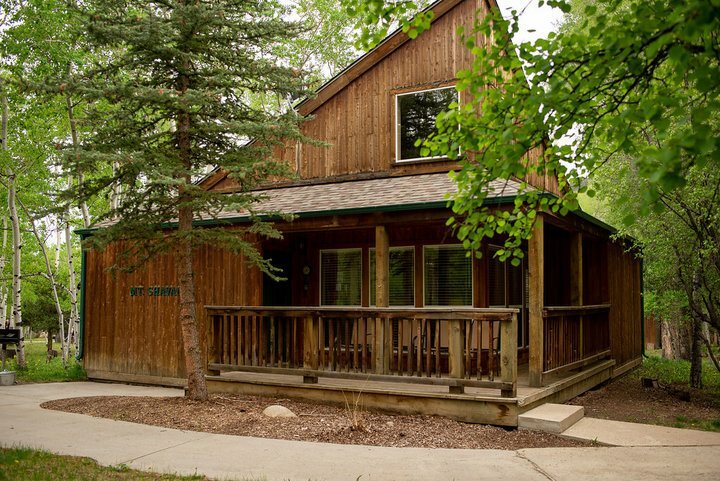 Our one-bedroom cabins are cute and cozy with all the comforts of home. 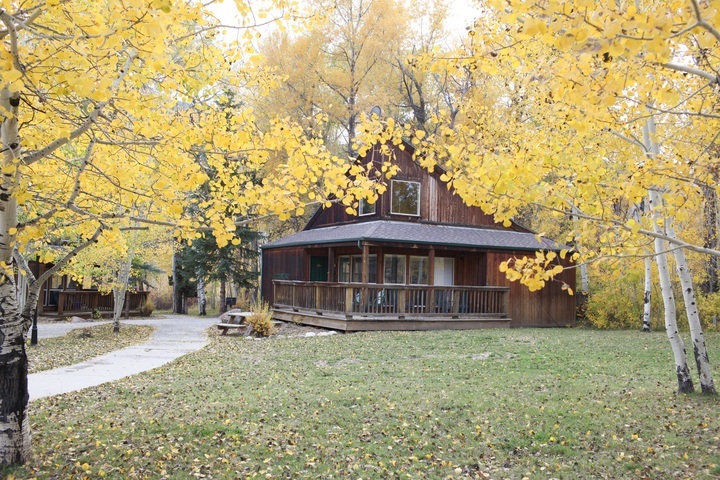 They’re the perfect size for small groups and families (with sleeping accommodations for up to six people) or even for a romantic mountain retreat for two. 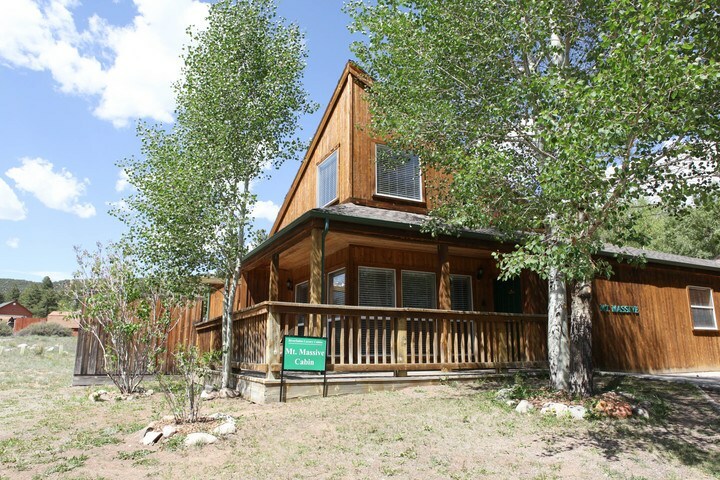 When you walk into one of of our one-bedroom cabins, you’ll be greeted by vaulted ceilings, tasteful mountain-themed decor, beautiful furnishings, and a 55-inch LED TV. 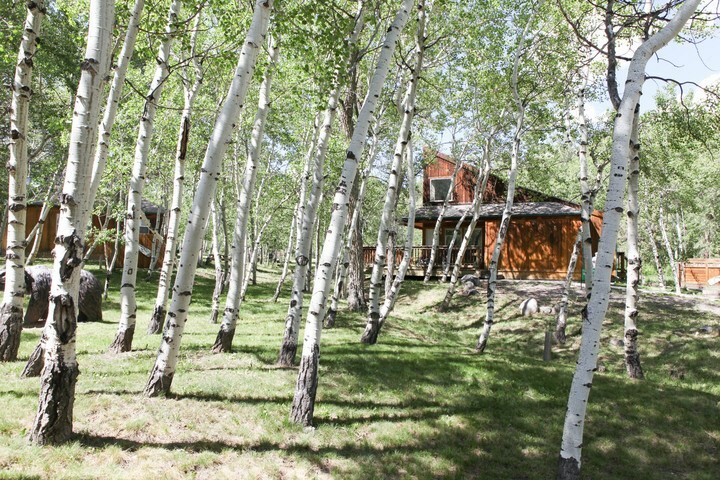 The fully equipped kitchen has all the utensils and appliances you might need for snacks and supper alike. There’s even a charcoal grill outside each chalet should you find yourself in the grilling mood. If you’re visiting during the colder months, feel free to warm up in front of the gas fireplace stove. And if you’ve had a long day of outdoor adventures, soothe your aching muscles with some time spent in your private outdoor hot tub. 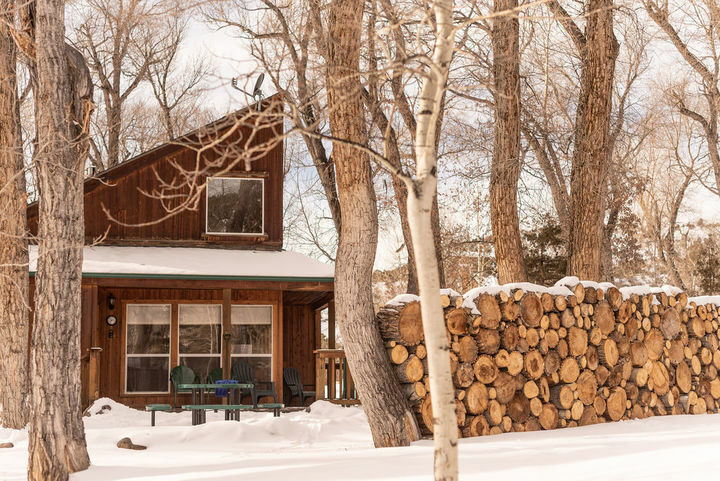 Regardless of when you visit, you’re sure to enjoy an incredible Salida vacation when you make one of our cabins your home-away-from-home. 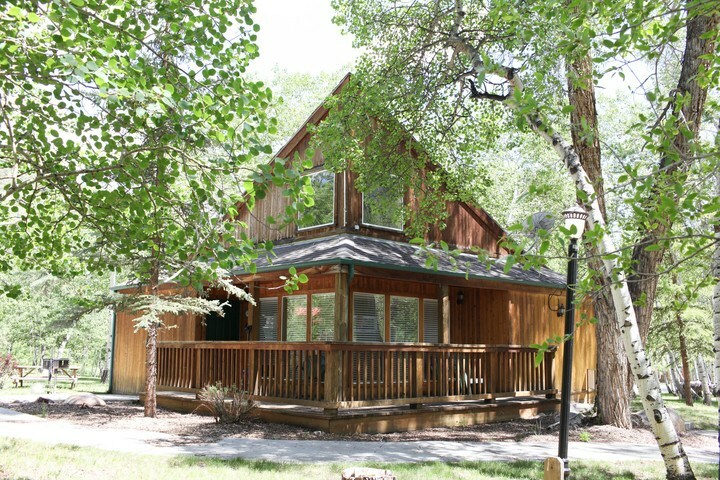 Click on any of the pictures below to get cabin-specific information and to book your Salida vacation today.